Ten years after the hijacked planes struck the World Trade Center’s Twin Towers and forever altered the course of history, tributes and memorials have been created to honor the victims and the firemen, policemen and EMTs who worked so diligently in the disturbing aftermath. The photos of the dogs are haunting in their own way. 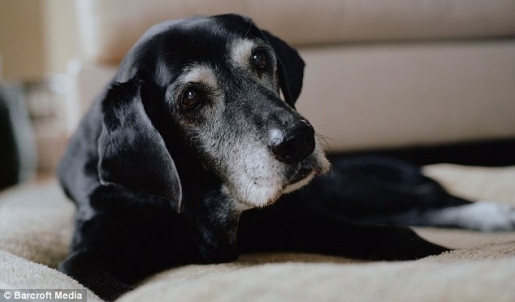 Dumas has captured a sadness in those dark eyes surrounded by graying hair in the elderly animals. 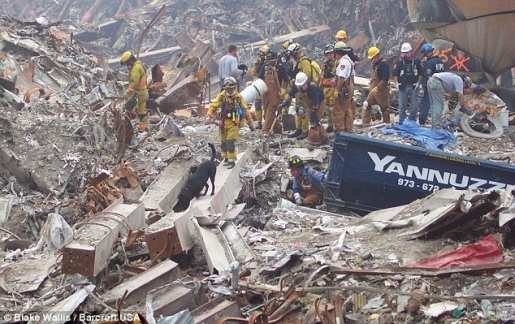 The dogs can’t relate their remembrances of crawling over the debris and rubble, but it seems their eyes are telling their personal tale of the horrors they’ve seen.